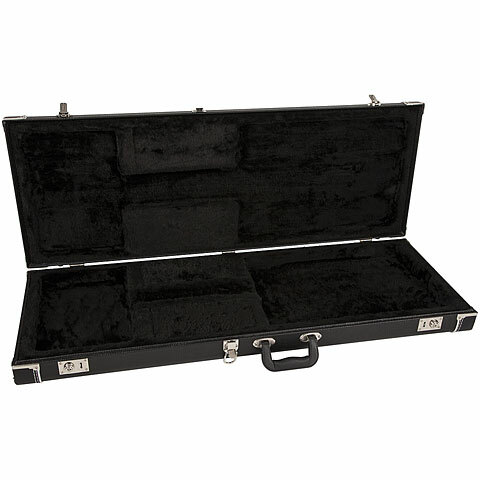 Fender Pro Series Case is decorated in the classic look and feel of Fender. It not only looks good, during developement attention has been paid to a particularly light and stable case construction. The interior with soft plush lining and spacious neck-bracket is universal for all Tele / Strat models, left and right handed. Furthermore there are two compartments for small parts and accessories. All metal parts are plated, the two snap locks are also lockable.